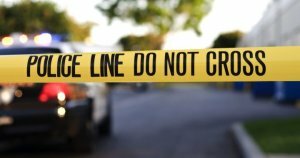 Girl, 7, Killed Trying To Get Help After Dad Crashes Car | Schuler, Halvorson, Weisser, Zoeller & Overbeck P.A. A 7-year-old girl was in the car with her father when he lost control and crashed into an abandoned vehicle in Sunrise. After the crash, the girl tried to get help. The 7-year old girl, believing her father had died, left the car and climbed a fence. She tried calling 911, then sent a text to 911. She then attempted to cross I-95, The Post reports. As police were pinging the cellphone in a futile attempt to locate the little girl, another 911 call came in from a woman who said she thought she had hit an animal or person while driving. Responding officers found the 7-year old girl’s body 50 to 150 feet from her father’s car. Authorities say she was killed instantly. “They say my daughter tried to save her father. She ran to get some help for her daddy,” her mother tells FHP. Her father, who is divorced from her mother, was taken into custody and charges are pending for driving while under the influence of alcohol.